Someone asked me last week why Easter is not as big a holiday as Christmas. Before I could answer or comment, they answered their own question by noting that there isn’t as much money to be made on the Easter holiday. An unfortunate answer, but fairly true. Certainly not as much retail sales at Easter versus all that food and merchandise sold at Christmastime. I suspect there is more to it however. Christmas is wrapped in iconic scenes and story accounts of a new-born child miraculously born of a virgin teenager, a young family seeking shelter, angels heralding a promised king, guiding stars, awestruck shepherds, traveling seekers of the Christ-child, classic songs and beautiful decorations of lights, trees, bells, ribbons and bows. And of course, gifts. Gifts to give and receive in honor of the gift of God and the gifts received by the young Son of God from those coming to worship Him. There’s much to work with here. Easter, on the other hand, while celebrating the joyous and miraculous event of the resurrection of Jesus Christ, is on the heels of a dark and tragic setting in and around Christ’s final week as a popular and lauded spiritual leader who preached of a coming Kingdom of God. He is sadly betrayed by one of his own team and is rushed through an unfair trial by a corrupted Jewish religious council. His death is messy, cruel, and ominous. But of course, the Easter story ends well and is profoundly pivotal in all of human history. Certainly the imagery of a crucifix or cross is a lasting symbol for Christianity through the centuries. (Tradition says that decorated eggs and Easter bunnies as symbols of new life are 18th/19th century European imports.) But the surrounding story of Easter is laden with what many would consider religious baggage and then supernatural, even unbelievable events. Actually that sounds like Christmas. But if Christmas celebrates the birth of a historical figure, Easter celebrates the rising from the dead of that same historical figure. And that’s an issue that is not so easily covered up with tinsel and wrappings. The resurrection of Jesus is enough for skeptics and non-believers to step up in droves and cry foul and put a halt to too much public acclamation, actually as they did with public manger scenes. The four Gospel accounts of the life of Jesus in the Biblical books of Matthew, Mark, Luke and John give ample testimony to that Sunday morning miracle of the empty tomb of Christ following his Friday afternoon crucifixion. But it is the Apostle Paul who pulls it all together and puts the whole resurrection of Christ in clear context in his letter to the early Christian church in Corinth about 20 years after the death and rising of Christ. Christ was crucified – that he died definitively through crucifixion is no longer disputed by scholars and skeptics alike. Christ was buried – Joseph of Arimathea, a known and honorable man, is named in all four gospel accounts as the one who claimed the body and supplied the tomb. Christ was resurrected – the tomb by all accounts was empty; extensive analyses of all possible scenarios (stolen, wrong tomb, dogs, etc.) have been conducted and documented – even skeptics and atheists cannot honestly account for the missing body. Christ was seen – the clincher: not only Peter and the apostles interacted with a risen Christ, but over 500 people saw Him before He ascended, many who were still alive to testify to this reality. An ongoing challenge to skeptics the world over, there are ample reasons why Christianity grew and changed the world. The supernatural birth of Christ and His supernatural resurrection from death are not mere mythic and fancy tales, they are historical truth supported with substantial evidence. One need only look and seek for themselves. Starting with a small band of disciples which grew to hundreds who witnessed a spectacular miracle consistent with Biblical scripture and prophecy, these devotees went to their death testifying not to what they merely believed, but to what they knew because of what they saw. As noted, many zealots have died for wrong beliefs, but no zealots would die for a known lie. 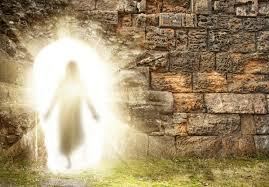 Christ’s Easter resurrection changed Jerusalem, the Roman Empire, and ultimately the world. No people or nation over the past 2000 years have been unaffected by this historical event that is as relevant and significant today as when it happened long ago. It’s only a question of understanding and fully grasping that significance. Do you fully recognize the significance of Easter? Thomas said to him, “My Lord and my God!” Then Jesus told him, “Because you have seen me, you have believed; blessed are those who have not seen and yet have believed.”– John 20:28-29.